Tauriko West, at the foot of the Kaimai Range, is set to become one of the Western Bay’s next growth areas, with a long term plan underway that looks to improve transport links and open up the area for urban development. The ‘Tauriko for Tomorrow’ project sees SmartGrowth partners Western Bay of Plenty District Council, Bay of Plenty Regional Council and Tauranga City Council working alongside the NZ Transport Agency. The plan is in its early stages. The organisations are investigating the processes, such as altering the local authority boundary, Regional Policy Statement and District Plan, infrastructure requirements, and funding commitments required, before development at Tauriko West can occur. The project group say their goal is to stay ahead of growth by ensuring residential and economic development and proposed transport projects are aligned over the next 30 to 50 years. “The long term vision for Tauriko West is to create a thriving community that allows people to live, work, learn and play locally,” says Tauranga City Mayor Greg Brownless. “We are paving the way for amenities such as schools, parks, cycle and walkways, connections to shopping and future community centres along with new roading. “This is a 30 year vision. We are getting in front of this challenge early by planning well in advance to cater for growth, and looking at how we can create a new community,” Mayor Brownless says. Western Bay of Plenty Mayor Garry Webber says it is vital the team gets the right mix between economic success and liveability. “Tauriko is the gateway for visitors from the Waikato using SH29 over the Kaimai Range and the state highway is a key freight route that connects our region with Hamilton, Auckland and the north. This route supports the economic success of the Western Bay, so is vital that growth and liveability, and traffic safety and efficiency go hand in hand. “While we are working together to future-proof our region, we are also drawing on our past,” says Bay of Plenty Regional Chairman Doug Leeder. Building a community at Tauriko West will require a change to the District Plan as part of the Resource Management process. It will also involve a boundary alteration, and discussions between Tauranga City and Western Bay are underway. Information open days will be held on Friday 26 and Saturday 27 May to discuss ideas and get feedback from the community. All welcome to join, from 11am until 3pm at Shop 9, Tauranga Crossing, Tauriko. “We want to ensure we are all on the same page as we move forward and lay the foundation stones of the region’s newest community,” says Mayor Webber. Tauriko West is one of the new urban projects, approved by the SmartGrowth partners in August 2016, that will help meet both the community need, and the Government’s planning requirements for the future. Other project areas include Te Tumu (located in Papamoa East), building a more Compact City for Tauranga and planning for future growth within the Keenan Road area (south of The Lakes development within Pyes Pa), Omokoroa, Katikati, and Te Puke. These projects are aimed at balancing supply of land with providing greater housing choices across the western Bay of Plenty over the next 10 to 30 years. 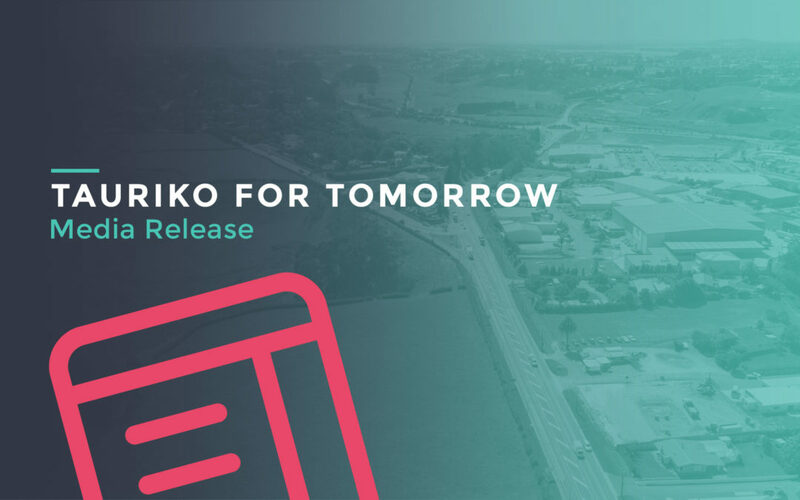 Tauriko for Tomorrow is a collaborative project driven by four key partners, Western Bay of Plenty District Council, Bay of Plenty Regional Council, Tauranga City Council, and the NZ Transport Agency, focussing on development in the Tauriko West area. Tauriko for Tomorrow is one of seven urban projects that will deliver new housing capacity over the next 10 years as part of a long-term SmartGrowth Strategy. Other project areas include Te Tumu (located in Papamoa East), building a more Compact City for Tauranga and planning for future growth within the Keenan Road area (south of The Lakes development within Pyes Pa), Omokoroa, Katikati, and Te Puke. Building a community at Tauriko West will require changes to the Regional Policy Statement, state highway realignment and designation, and City Plan. Discussions between Western Bay and Tauranga City councils about the proposed boundary alteration are also underway. All these changes will need to be implemented in accordance with the Resource Management Act 1991.